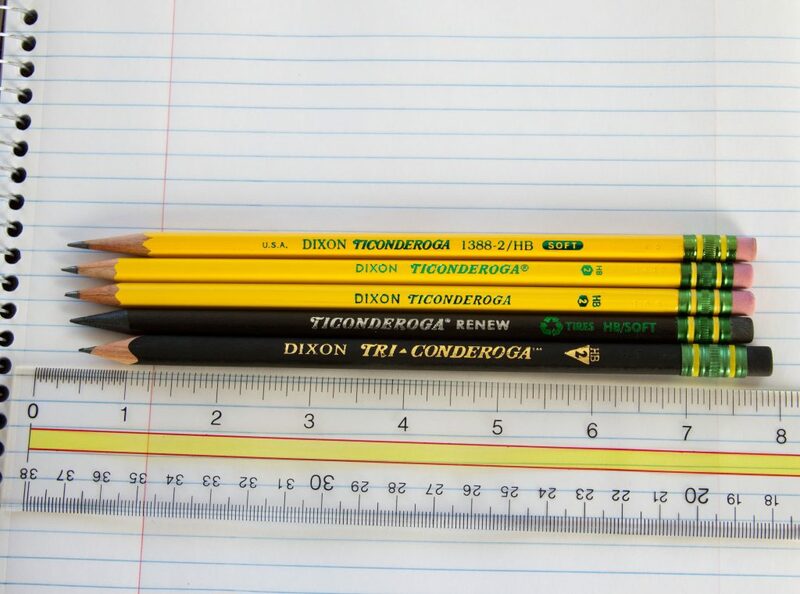 It’s rating sweeps time @ the Woods with #2 wooden Ticonderoga pencils sharpened to perfection and filled with natural lead and all the answers for our students to soar as they complete annual standardized assessments in 1st through 8th grade! Wood Acres administers the Scholastic Aptitude Test (SAT 10) and the Otis Lennon Ability Test each year to provide us with a nationally normed assessment that both informs our planning and teaching and lets us know how well Wood Acres students fare in comparison to students throughout the United States. 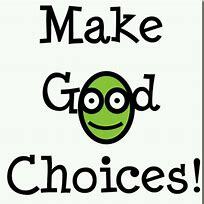 Our students really enjoy these two weeks as homework is light, snacks are yummier, pencils are new, and parents give children extra hugs and high fives as they leave carpool each morning. While Wood Acres never brags on student achievement- we just expect it- I do think it is the perfect time to demonstrate a little Wood Acres “pride” in our students’ academic achievement while they are here and future successes as they graduate. Please enjoy these proud academic “snapshots” of our students as they learn, grow, and SOAR! Wood Acres treats all students as gifted learners and results on the Otis Lennon Ability Test demonstrate that, while many Wood Acres students do score in the gifted range of ability, many are wonderfully average students, too. They ALL achieve in the highest ranges because that is how they are taught. Wood Acres is one of only 100 International Spanish Academies in the United States and Canada and frequently receives commendation for programming and student progress in second language acquisition. 8th grade students also enjoy the opportunity of a lifetime to study and travel abroad in Spain each spring. Wood Acres curriculum is nationally aligned with experts in each academic field and we adopt textbooks, technology, and materials that correlate well with our curriculum maps, scope and sequencing of teaching, and inter-grade collaboration of content and teaching approaches. We embrace no band wagon, flighty trends, or state-mandated core programs. The core of our school has always been, and will always be, our students and their overall successes as eager, bright, compassionate, and caring young men and women. They are the collective heartbeat of this uniquely wonderful school. We are proud to announce that Wood Acres soon-to-be graduates in the Class of 2019 have been accepted at the following high schools and specialty programs in Georgia (to date of posting): Blessed Trinity High School, Mt. Vernon Presbyterian High School, Kings Academy, The Galloway School, Wheeler High School STEM Academy, The ISA Academy at Walton High School, International Baccalaureate Program at Campbell High School, and area public high schools and charter academies such as Pope, Pope STEM and Globalization programs, Lassiter, Kell, Roswell, Mt. Bethel, West Forsyth, Sprayberry STEM and ISLA programs, and Kennesaw Mountain magnet program. We are thrilled with all of their accomplishments and are so excited to watch them SOAR forward in their new high schools! Here’s to some amazing weeks to come celebrating our students, their successes, the families who support them, and The Wood Acres School! Marching to a Different Drummer! Some things just bear repeating! The March HEADline from 2018 is one of those! Many wonderful and unique things make Wood Acres a one-of-a-kind school, but the following HEADline highlights the very best of experiential learning that is offered to students anywhere! In the world of sports, March Madness signifies the march to the final four and collegiate basketball glory. Wood Acres March Madness is the march off campus for annual experiential overnight field trips involving planes, trains, boats and buses as our 4th through 8th graders embark on true field trip adventures that create once-in-a-lifetime memories for students, proving that what they study and the “real” world are truly one and the same! Fourth graders’ destination is the sand, surf, flora, and fauna of Jekyll Island Environmental Center for three days and two nights of looking at the ocean and its living creatures in a whole new way. Fifth graders head to Tennessee and Camp Widjiwagan Outdoor Center for three days and two nights of hands-on learning about the environment and themselves. Sixth graders traveled earlier this year to the Marine Lab in Key Largo, Florida to further their ecological studies of ocean, lagoon, and snorkeling during this wondrous adventure. Seventh graders look at Washington, DC through the eyes of the Triumvirate of Democracy, as they experience first had the three branches of government- executive, judicial, and legislative. It is a trip that is all about “We the People”! 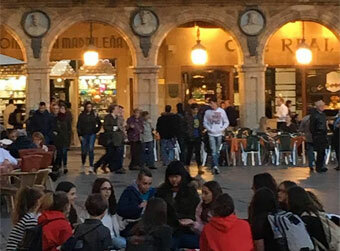 Eighth graders celebrate their impending graduation with a capstone trip to Spain to learn how much they have learned in speaking another language and experiencing its culture. Students live with host families, study at a renowned university and visit World Heritage Sites on their day trips during this two week sojourn there. March YES! By plane, boat, train, and bus we take students to the learning. With pre-trip study and superb planning, we take students to new heights of metacognition- knowing that they know what they know- on each and every trip. Through passion for experiential learning with a faculty that generously gives of their time and talents on these adventures, Wood Acres students experience a one-of-a-kind education that is consistently “out of the box” and firmly tucked away in their minds and hearts. Hearts and the red, white, and blue too! Here’s to hearts and the Red White & Blue, too! 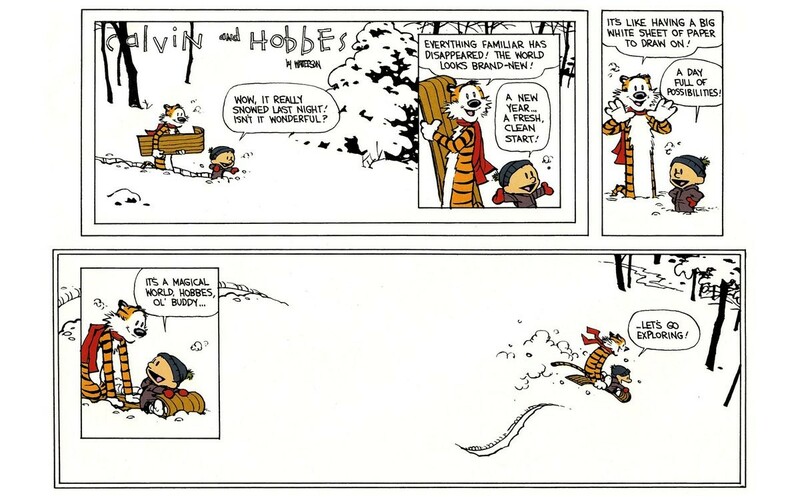 My eldest son Josh loved Calvin and Hobbes cartoons and he shared that love of their sincere kind humor with me. This cartoon in particular is a favorite and the newspaper version of it was on my file cabinet so long it yellowed! It speaks to the season and the freshness of each new year and so I happily share it with you! There is magic in exploring possibilities, large and small, especially with children. Children encourage us to look at the world from their vantage points if we just “get on their level” and look and listen. Lay flat on the floor and look around and up. Sit on that same floor and look around again. Then on your knees and upright. The views change and we have the magical opportunity to see the world anew through their eyes. It is just as relevant with our children as they become older, “wiser”, and more independent. The magic of exploring possibilities becomes more focused and can change daily, even moment by moment. They see and hear more with not quite understanding it all, but still delve into the “whys” of their lives. Sit in their desk at home and at school, plop into their favorite chair or pillow. See what they see and also attempt to feel what they feel. Active listening is key. Then all too soon the new years fly by and you are sending these amazing young men and women off to their own magical possibilities in college, service, careers, and life. Make sure they take the magic with them and remind them of it often, even if they say, “Oh, Mom!” “Dad. Come on. I am not a kid anymore.” We fervently hope we all remain a kid deep inside. Here’s to 2019, a year of wonderful magical possibilities for Wood Acres School as we celebrate our 50th anniversary- a golden time for sure! Here’s to your new year. May it be filled with wonder, magic, possibilities, and the vision to see it every day in some way. Be Peter Pan. Crow about your children and never grow up. That is pure magic! May this simple wish touch all our hearts and move us to action in our homes, school, communities, state, and nation. May the joys of childhood touch our adult hearts that we, too, can feel the anticipation of the season. May we create traditions, memories, and reasons to celebrate together. May God bless each of you, those you love, and our country. Each and every day in the coming year, too! GOD BLESS US EVERYONE! October 2018… Update on an archived HEADline… it bears repeating! I wrote the HEADline below two years ago around this time of year. 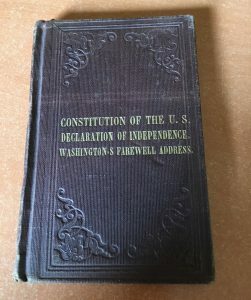 Dr. Carl Glickman and his writing on ceremony and tradition came back to my mind again last week as we celebrated almost a decade of Constitution Day rallies on our campus Quad… a tradition indeed! Our traditions, symbols, and ceremonies are part of the fiber of a Wood Acres education, yet it behooves us to ponder if they really make a difference to our students and their families? To answer that question, another sage writing of Dr. Glickman came to mind- his work on sightings- formal and informal, negative and positive- as to whether what a school does matters. Formal observations abound in any educational setting- planned class observations, scheduled team meetings, parent teacher conferences, annual kick off events, etc. Informal observations happen much more often- watching a class walk the campus Quad, student interactions at recess, daily teacher student interactions, passing conversations with adults and children, communication from all stakeholders- formal and informal. 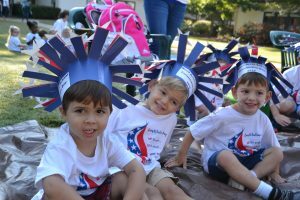 The Constitution Day Rally 2018 brought some wonderful sightings to the forefront about the impact Wood Acres has on the school community- our largest attendance by families and guests, book buddies sitting voluntarily with each other to enjoy the ceremony, our Director of Early School sharing her amazing story of discovering a rare family pocket edition of the Constitution dated in the 1800’s, handshakes and hugs from families as they share how valued this day has become, veterans thanking us for recognizing their service, students reciting the Preamble and talking about the Constitution all week long, staff enthusiasm planning the event and tying it to history and culture… the list goes on. Toss into that mix our enduring symbols of acorns, oak leaves and Ginkgo trees, campus buildings named after the Georgia signers of the Declaration of Independence and the US Constitution as well as noted historical figures in Georgia’s history, Turner Hall named for two self-educated men, a campus compass rose adorning the Plaza, a new American flag posted every year- the list goes on. Wood Acres School is about a million little things that are purposefully and lovingly woven into the fiber of our school, the talk of the day, and the walks about campus. It also permeates the formal and informal happenings on campus. It is not about a school; it is about a Wood Acres education. THAT is what matter most and that is what counts. Eureka! And that is what we intentionally- formally and informally- do each and every day! It’s here! Can you see it? Can you feel it? Can you hear it? It is the cadence and rhythm of a school year in place and humming its autumn song as we turn the calendar to October. Students have found the first acorns on campus, sketched the first fallen leaves, and gazed at the amazing blue sky that arches over our campus. It feels so good inside and outside of our classrooms. And before you know it the perfect trifecta of holidays will soon be upon us occupying the main aisles of stores from Hallmark to Dollar Tree and making October, November, and December filled to the brim with decorations and celebrations. Woo be the child who has a birthday during these three months as their parties are often overshadowed by the holiday du jour! While the commercialism of holidays is certainly omnipresent, the intrinsic importance of tradition and ceremony is vital to a child’s development of time, family, and community. Dr. Carl Glickman, outstanding Professor Emeritus of the University of Georgia in the field of educational leadership, once spoke on this very topic and made a great impression on me in my developing years as an educational leader. His writing led me to metacognitively know why I always thought that ceremonies and traditions in the smallest family or the largest school were not “fluff” but critically important to the home and school climate and its ability to embrace its occupants with meaning and memories for a lifetime. Ceremonies and traditions serve as punctuation marks in our lives. They make us pause, stop, “be”. They move us emotionally and spiritually. They help us tie the past, present, and future together in a way that helps us keep time, reflect, enjoy the moment, and wonder about the future. 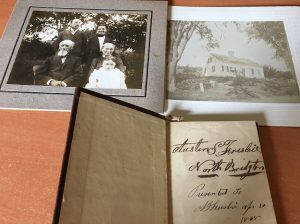 These events also help us visually demonstrate values and connections among generations. Ceremonies and traditions bring us together, across miles as well as across periods of absence. And they open the larder to prepare treats and food, open the boxes to deck the halls and walls with pumpkins, turkeys, menorahs and garland, open the photo albums to visit past ceremonies and make certain the traditions are well preserved. They make us sing, laugh, smile, cry, look wistfully, and sigh in contentment. Ceremonies and traditions make the time, energy, effort, planning, and often expense worth it in the long run. They matter to us. 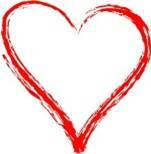 Remember, where our hearts are, so are our treasures! So here’s to pumpkin carving, apple bobbing, trick or treating, and candy! Here’s to turkey and all the trimmings, football, naps, and holiday shopping. Here’s to stockings hung with care, candlelight services, cookies and milk, dreidels, and gifts from the heart. 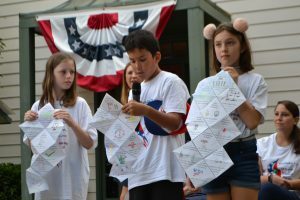 And here’s to the ceremonies and traditions of the Woods- Meet and Greet, conferences, Rally Round the Flag Constitution Day, Field Day, field trips, book fairs, book buddies, graduation ceremonies, and so much more. Here’s to our school traditions and ceremonies helping us mark the seasons of the Woods in our hearts and minds. The start to an academic year @ the Woods- be it for our youngest Navigators to the eighth grade graduating class of 2019- makes perfect sense, since it is all about the senses! 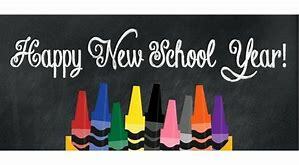 Each student and family, each faculty and staff member feel the excitement of a fresh start to the school year. They also feel the warmth and welcome that greeted them at the staff kick off or at the annual Meet and Greet. They see the natural beauty of this wooded campus and get to enjoy all the seasons from a winter snow to the first butterflies on the lantana. They hear the sounds of laughter and learning, nature and nurture, ah has and yahoos! They taste snacks, lunch, and surprises as birthdays are celebrated. They hold hands, give hugs, and some well earned high 5’s. They use their hands and minds in collaboration to make learning be memorable and meaningful. Yes, the perfect start to our school year DOES make perfect sense! Come see for yourself. Happy New Year @ the Woods! Summer is here! School is out! It must be June! With today’s adult work being tied so closely to the technology in your pocket, the laptop in your bag, and the office in your home, summer is truly for the children! While they are “outta school” for these sunny months, their learning does not stop! Guarantee that for them by helping them leave anything with batteries, chargers, or screens behind and help them employ their senses to the wonders of the summer world around them. If they insist on being early risers, share a sunrise with them. If bed times are more flexible in the summer, sit outside and ponder a gorgeous sunset. Get down on the level of bugs and up as high as you can go to see the world from a bird’s vantage point. Get out the chalk, crayons, markers and paints for some summer masterpieces painted on the sidewalk, old pillowcases, and even on themselves. Paint like Michelangelo (on your back) or with your non-dominant hand, with the brush in your teeth or between your toes! Cook, clean, rearrange, and redo their rooms and play spaces. Give meaning to work in the home as summer “homework”. And by all means- READ- every day in every way with all kinds of print- OK, so maybe technology can be helpful here! You get the idea! 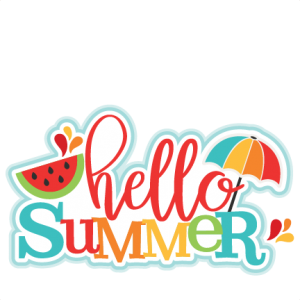 With just one glance on Pinterest or the many blogs on line, you can find many more easy enjoyable “battery free” ideas to entice your children to see, hear, taste, feel, touch and experience their world anew in this month of “a perfectly young summer”… JUNE! Fourth graders’ destination is the sand, surf, flora, and fauna of Jekyll Island Environmental Center for three days and two nights of looking at the ocean and its living creatures in a whole new way. Fifth graders head to Tennessee and Camp Widjiwagan Outdoor Center for three days and two nights of hands-on learning about the environment and themselves. Sixth graders traveled earlier this year to the Marine Lab in Key Largo, Florida to further their ecological studies of the ocean and enjoyed snorkeling during this wondrous adventure. Seventh graders look at Washington, DC through the eyes of the Triumvirate of Democracy, as they experience first hand the three branches of government- executive, judicial, and legislative. It is a trip that is all about “We the People”! Eighth graders celebrate their impending graduation with a capstone trip to Spain to experience how much they have learned in speaking another language and immerse themselves in the culture. Students live with host families, study at a renowned university and visit world heritage sites on their day trips during this two week sojourn there. My three children have come out OK- even better than OK. They all graduated college with honors, on time, within budget, without debt, and became immediately employed in their chosen fields. Advanced degrees and additional professional training have made them all the wiser and having their own children have made them humbler. You have never lived until your own children say, “Mom, I can’t believe you did it all!” Music to the soul. With six grandchildren and one more arriving in July, I am also reveling in the joys of grand parenting and being lenient, indulging, and full of whimsy when we are together. Friends, colleagues, and parents have asked me how did you accomplish it. Faith, luck, patience, and more luck probably are part of the formula. Although I distinctly remembering my eldest son telling me one day, “You are not the principal of this house!” A dose of reality always does the body good. One solid mantra that I drilled into my trio was a sure fire way to assess what they were doing and whether what they were doing was good, fair, and right. It came from my brief stint in the Rotary. I loved the fellowship and projects, but hated the early hour they met and yearned for a bit more estrogen in the room. But the Rotary Four Way Test stayed with me and I applied my adaptation to our family, our children, and even our school. Could you read about it in the media and be proud? Could you tell your mother/father face to face? The answers to the four questions gave my children pause and allowed a more thoughtful, wise, and positive choice… most of the time. Nobody is perfect! Our dynamic office team at Wood Acres also has amazing children who are good, kind, and successful. So I asked them for their mantra or one liner that helped their own grow and glow. This Matters At Wood Acres.